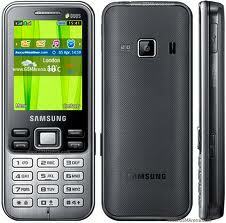 Samsung Mobile won the hearts of gadget enthusiasts with the charm of its smartphones. Starting from a collaboration between Samsung with the Google Android OS for use on any smartphone samsung., Now Samsung has managed to be excellent. 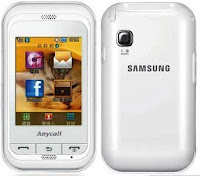 To date I frankly feel satisfied wearing smartphone from Samsung., Yet there is one year into usser Galaxy Mini., I was infatuated with Android., Smartphone capabilities similar to a notebook and a complete feature makes me always want to keep abreast "The Andro". A. Version 1.1 (Anonymous): Google purchased a company called Android in July 2005. While the Android update, version 1.1, released in February 2009. It seems that version 1.1 of the android does not have a name. 2. Android 1.5, Cupcake: Android OS is supposed to be an Android version 1.2, but Google made a major change and make it into 1.5, and gave him the name "cupcake" as the first Android code released to market. 3. 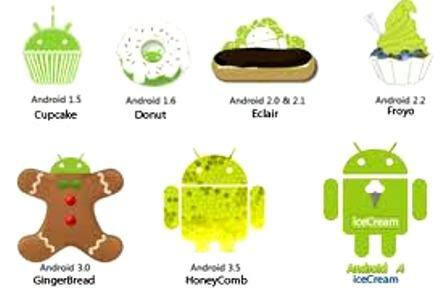 Android 1.6, Donut: Android was released in September 2009. This version fix errors in previous OS reboot and change features photos and video (ie camera interface) as well as search for better integration. OS 1.6 also adds support for use on larger screen sizes. OS 1.6 is the first version that Google offers navigation features turn-by-turn. 4. Android 2.0 / 2.1, Eclair: Version 2.0 was launched in October 2009, with a bug fix version 2.0.1 in December 2009. Android 2.1 was released in January 2010. This version features added support for Bluetooth 2.1, flash, and digital zoom for the camera as well as live wallpaper support, multi-touch, and so forth. 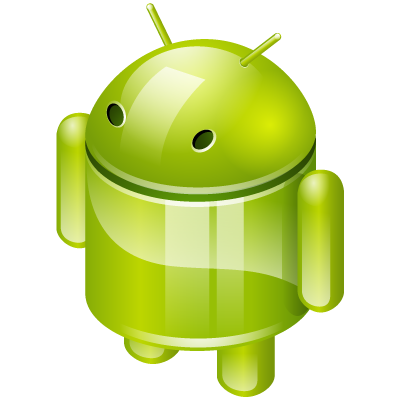 Android 2.3, Gingerbread: Gingerbread, officially released in December 2010. On December 7, 2010, Google officially announced the Nexus S (made by Samsung's first phone with Android OS 2.3 Gingerbread. Support for Gingerbread features include: SIP internet calling, the ability of NFC wireless transaction (depending on your hardware), support more than one camera , support for the gyroscopes and other sensors (barometer, gravimeter, etc. ), download manager, a few tweaks to allow the use of the Tablet, and the other to tweak the system programmer. Android 3.0 / 1.3 / 3.2 Honeycomb: Honeycomb 3.0 was released in February 2011, followed by versions 3.1 and 3.2 that just came out in July to August 2011. Google posted a lot of previews and highlights of the Honeycomb. Android-based tablet 3.x will run very optimized for the tablet, (because android ai OA below 3.0 is not really designed for the tablet). Android 4.0, Ice Cream Sandwich: Version 4.0 October 2011. Ice Cream Sandwich operating system will be available for smartphones and tablets, the first device to use this OS is the Samsung Galaxy Nexus. Announced on October 19, 2011, Honeycomb to bring smartphone features and adding new features including unlocks with face recognition, enhancement photography, looking for email them offline, and share information using NFC and many more. What about you ..? Wait for the next version of Android and feel the thrill.